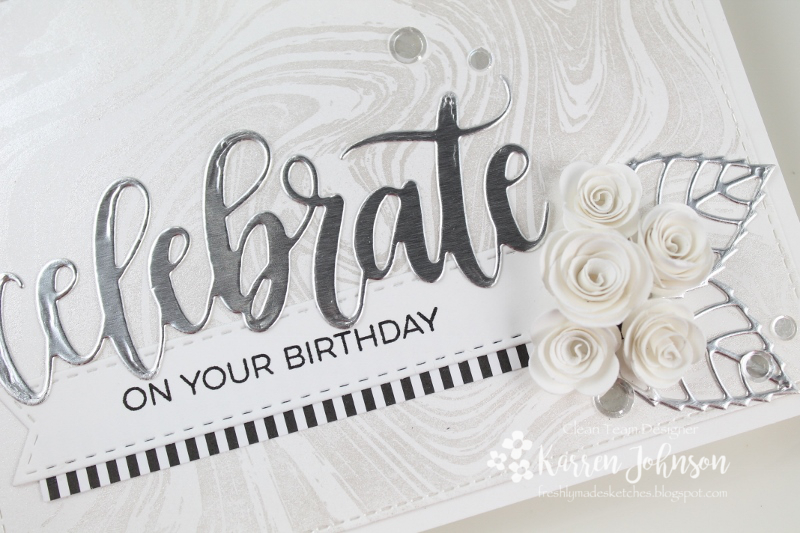 This card uses new and old products from MFT Stamps and I had some fun with some Perfect Pearls on the background stamps. I've had the Perfect Pearl color for years and years, but have just ventured into some other colors. This color is Confetti White and it's so pretty. I inked up the Marble Background stamp with Perfect Medium ink and then brushed on the Perfect Pearls powder. Once it was covered sufficiently, I brushed off the excess and lightly spritzed the panel with water to set the powder. 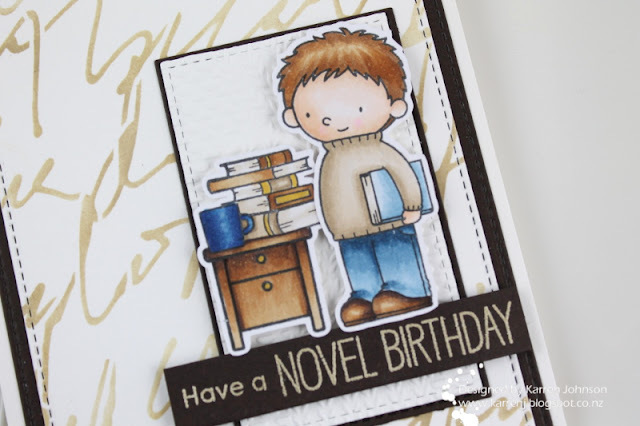 I then die-cut it with a stitched die and adhered it to a white card base. Finally, I arranged everything on the card front and glued it down using Multi Medium Matte. I finished with some Sparkling Clear Confetti. Here's another view of the front so you can hopefully see the gorgeous shimmer from the Perfect Pearls. Thanks so much for visiting, and Mum, if you've read this far then you have as much willpower as I do! 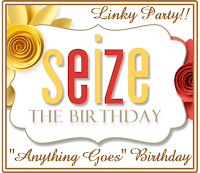 Edited to Add: This card got a shout out at Seize the Birthday. Oh what a guilty pleasure it is to sit down during the day with a good book and a coffee! And even better if it's a cold day and you can wrap a blanket around your legs and get all cosy! 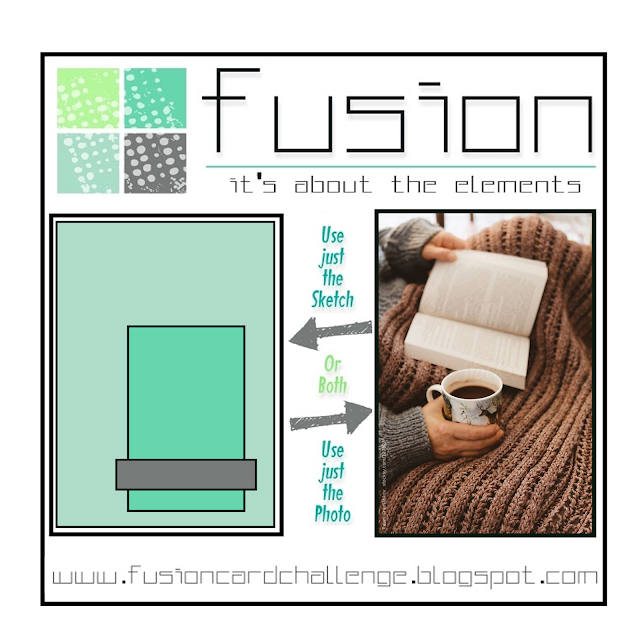 Alas, it's not often I get a chance to do that (I try to limit my reading to night-time) and we're in the middle of a scorching hot summer here, so the thought of being wrapped in a blanket just about brings me out in hives 😀 But, never to mind, because here is our latest Fusion challenge and guess what - it's all about coffee and a book! 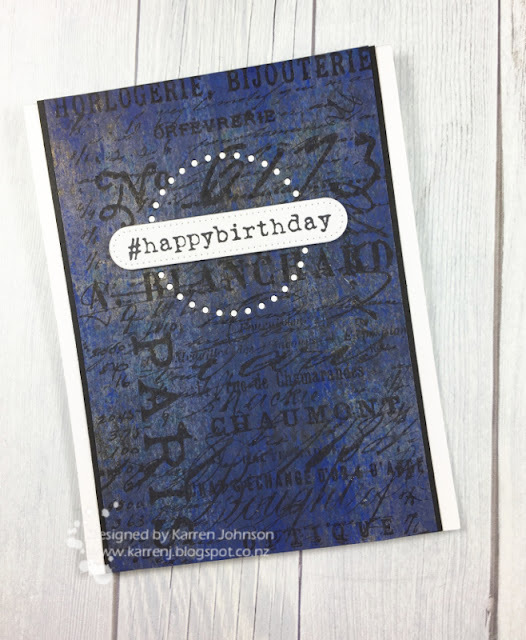 I stamped, colored and cut the images before setting them aside to work on the rest of the card. The drawers, coffee cup and books were masked and stamped and so I cut them with my Scan n Cut as one piece. 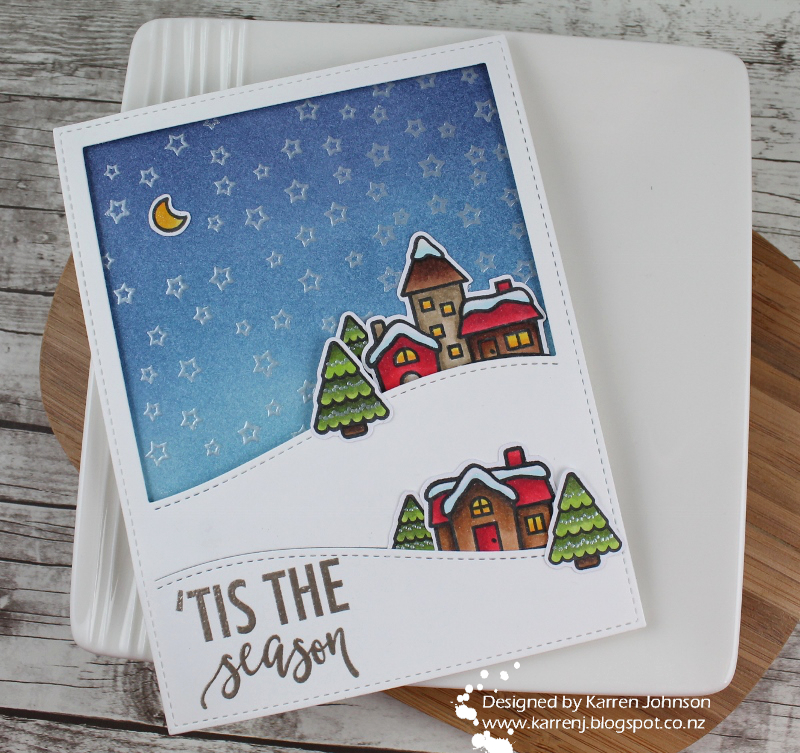 The card base is Whip Cream (as an aside, that sounds so weird to me because here in New Zealand we say "whipped cream"), then a layer of Hot Fudge and another stitched edge layer of Whip Cream which I stenciled over using my favorite stencil, Scribble Script. 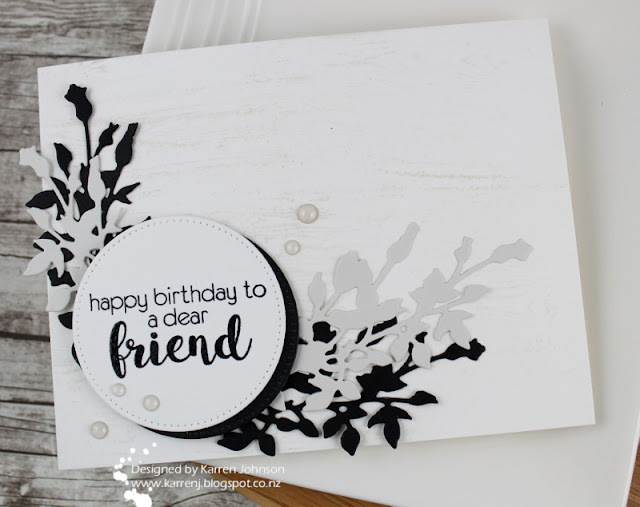 The sentiment is embossed onto Hot Fudge cardstock using Brown Sugar Embossing Powder, which ties it in nicely with the creams on the rest of the card. And hard to see in the photo, but the cream panel behind the stamped images is embossed with a knitting pattern embossing folder, to represent the blanket in the photo. Thanks so much for visiting! 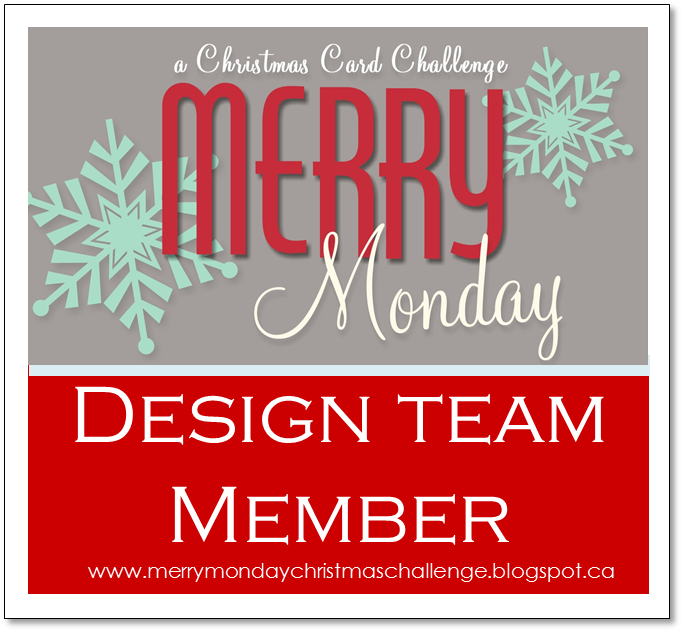 The design team have some gorgeous cards to inspire you, so please head on over and check them out. 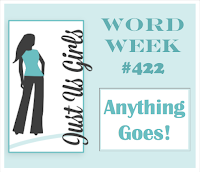 I'm linking this up to the Stitch Me Up theme at Southern Girls Challenge. I decided to have notebook pages as my over-hanging elements and the heartbeat die as the sentiment strip, but I hope you can still see the sketch! 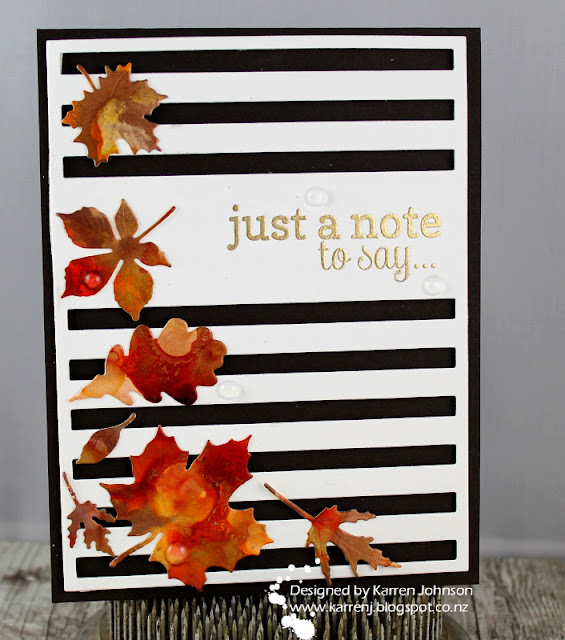 I started with a white top-folding card base and adhered a black panel cut with a notebook die. 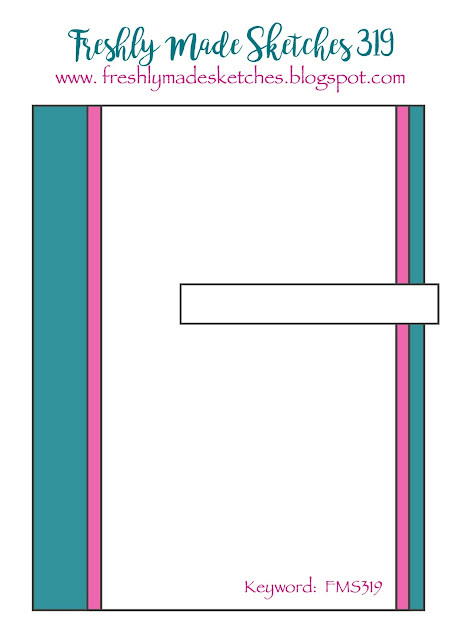 I then offset a panel cut from notebook paper. 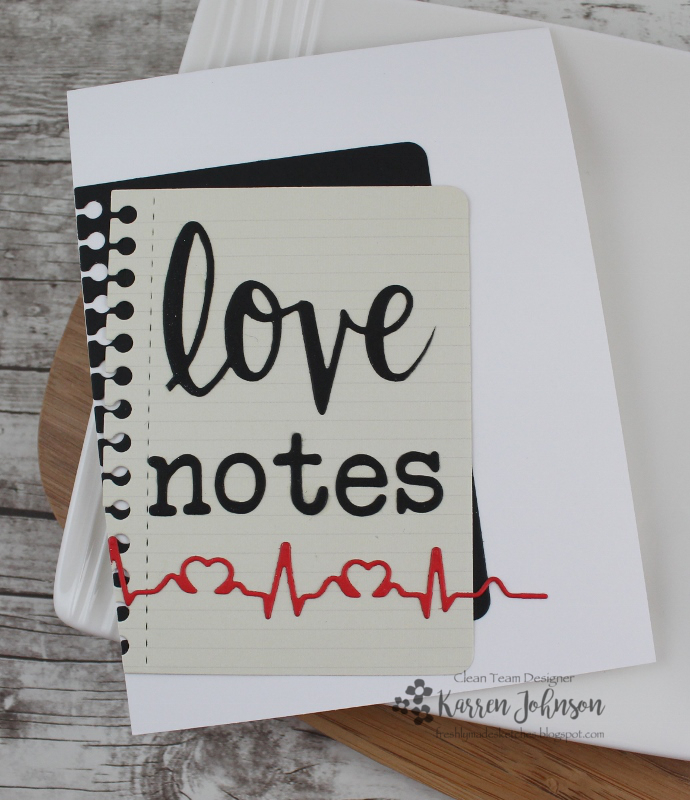 The sentiment was die-cut from black cardstock and the heartbeat from red. 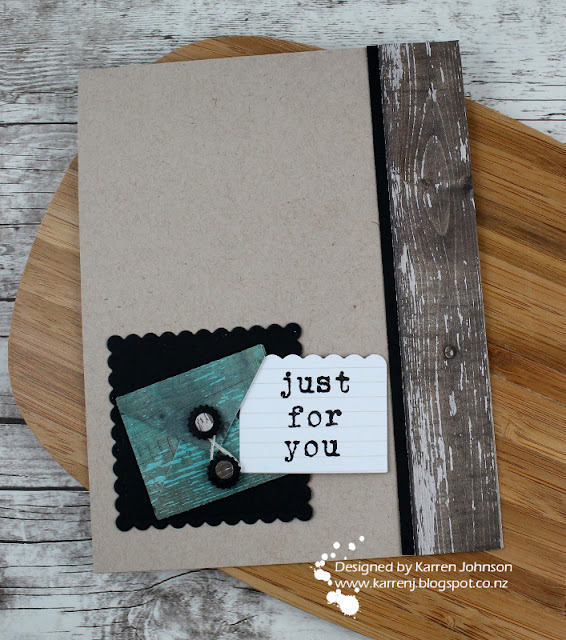 All in all a very simple card! I did color over all the die-cut pieces with clear sparkle pen to give it a bit of shimmer. Thanks so much for visiting! 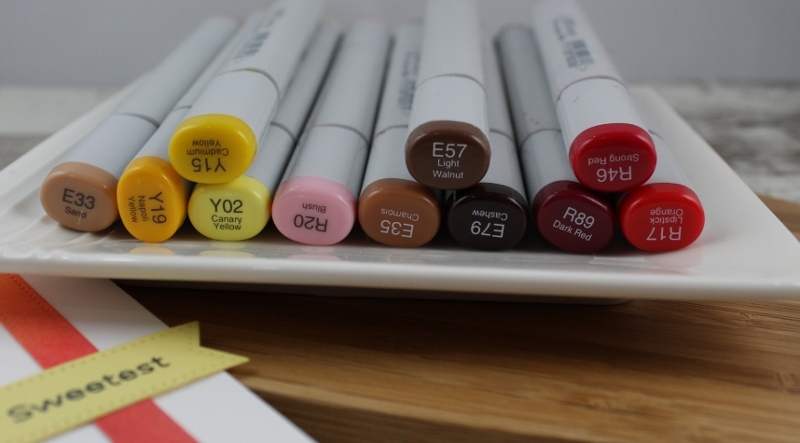 Be sure to head on over and check out what the rest of the DT have done with the sketch. They're amazing, as always! Welcome! 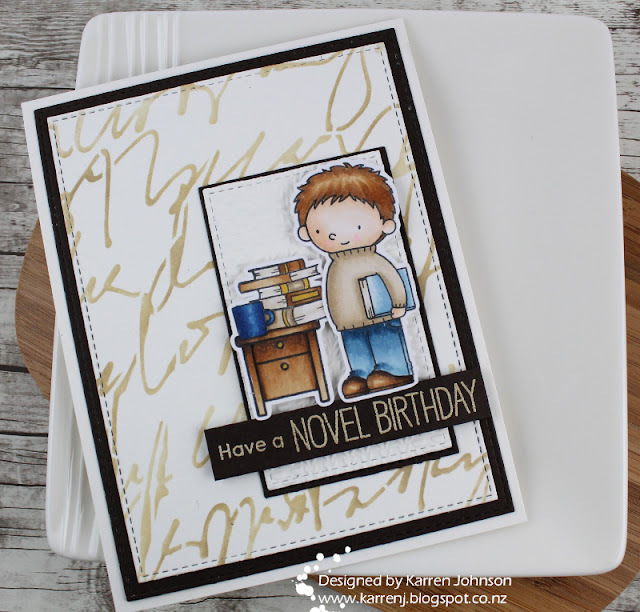 Today's card uses both the sketch and colors from MFT's latest challenges. 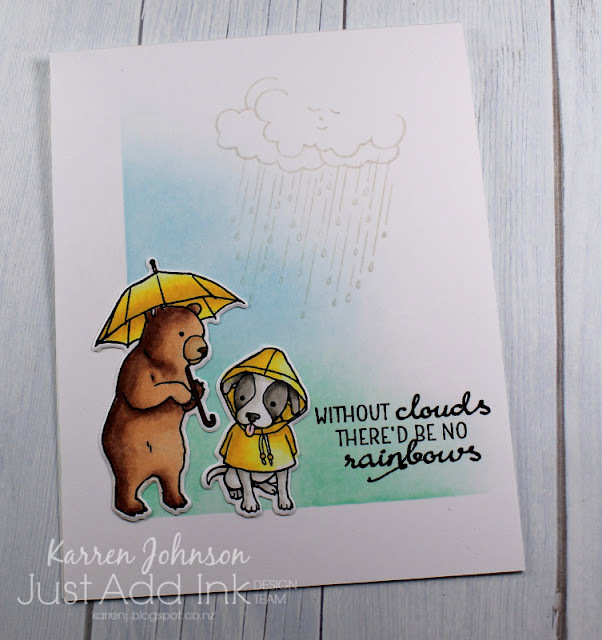 I'm also linking this up to the Clean and Simple challenge at Addicted to Stamps and More. 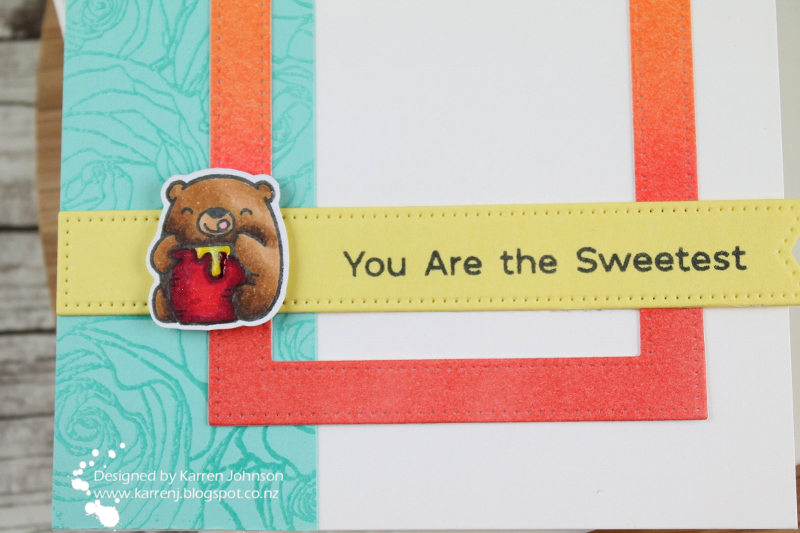 I colored up this sweet little bear using two of the challenge colors then cut it with my Scan n Cut. I added Crystal Glaze to the honey and set it aside to dry. 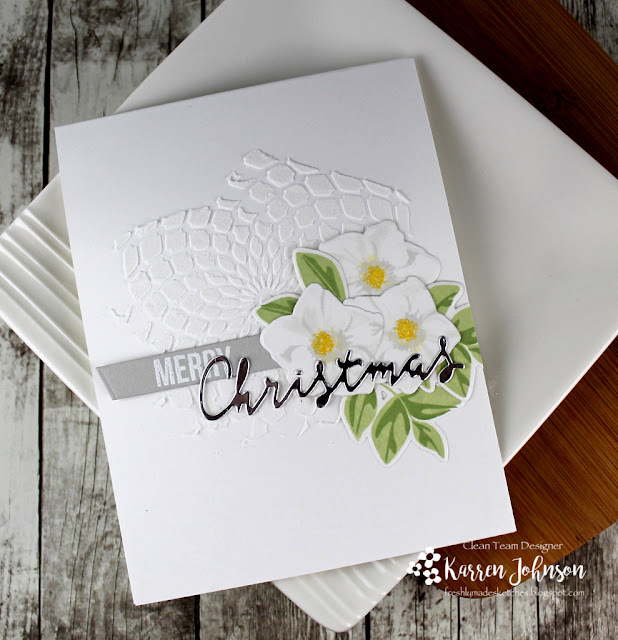 The Summer Splash panel was clear embossed with Roses All Over and adhered to the left hand side of a top-folding card base. I did some ink-blending onto a piece of Bristol Smooth cardstock, using distress inks that most closely matched the challenge colors, working from dark to light. I then cut the piece with the Pierced Rectangle Stax die. 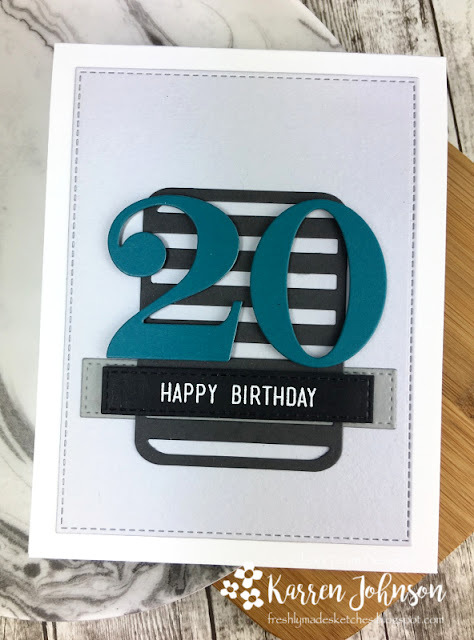 I was going to go with my usual white-embossed on black sentiment strip, but decided to be brave and add more color 😁 The Banana Split cardstock was stamped in black and then die-cut with a Pierced Fishtail Flag Stax die. Finally I added the bear with foam tape and called it done. Hi and welcome! Today's card was made for a few challenges - the colors from Color Throwdown, MFT's Blueprints challenge, the patterned paper theme at Simon Says Stamp and the sketch from Paper Craft Crew. When I first saw the sketch I gulped, because me and angled panels are not friends, but in the end I wasn't too unhappy with how this turned out. 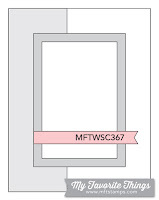 I used several Blueprints dies on this card - for the angled panel, for the stars and for the banners at the bottom. The word die as well as the stars are coated with clear sparkle pen and the two smaller stars are also coated with Nuvo Crystal Glaze. When I cut the two top panels, there were no stitched lines, so I used my Stitched Basic Edges die to add some stitches. Because this die adds stitches on either side of the stitched line, there was a sliver of stitching left over. Rather than throw this away, I adhered it to the patterned paper as an additional feature. 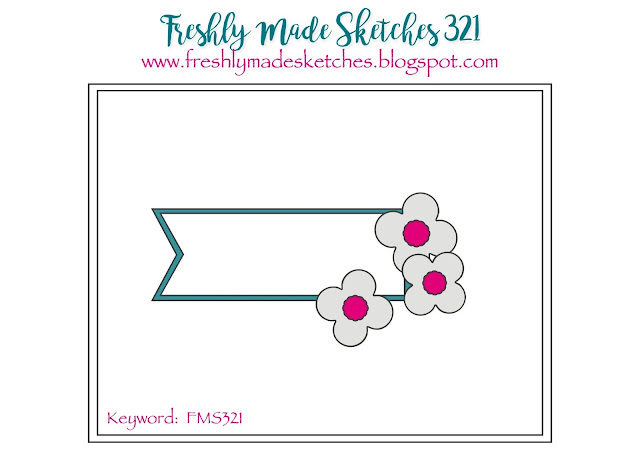 Welcome to the first Freshly Made Sketch Challenge of the year! This week our hostess is Rita Wright and she has come up with one of my favorite types of sketches - long vertical panels. 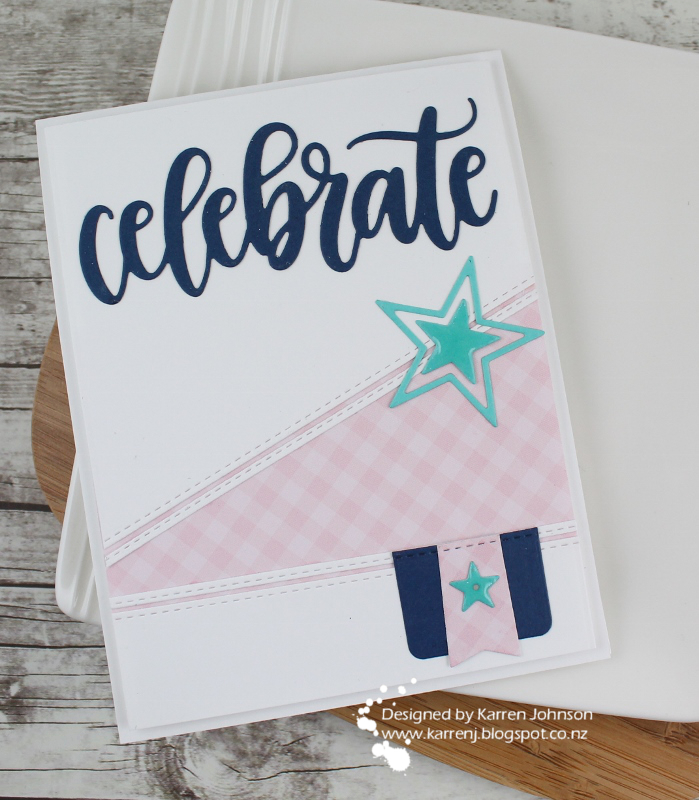 I made this card using the photo inspiration at SugarPea Designs as well as the Thankful challenge at Time Out and the Anything Goes challenge at Just Us Girls. 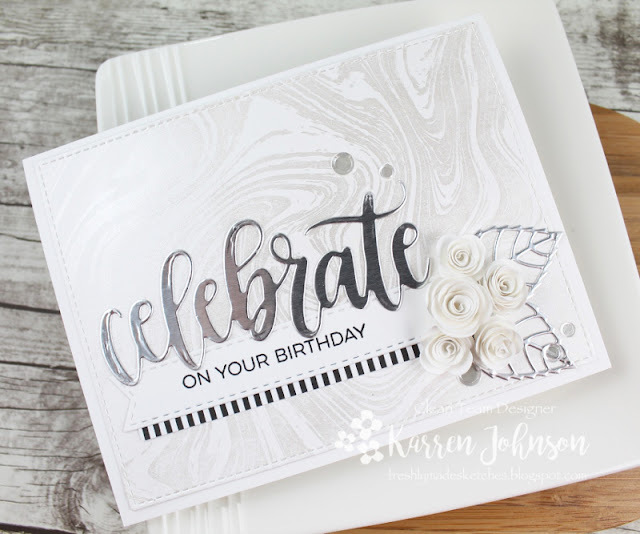 From the photo, I was drawn to the white with the soft gray background with spots of darker gray, so I tried to replicate that in my color choices. 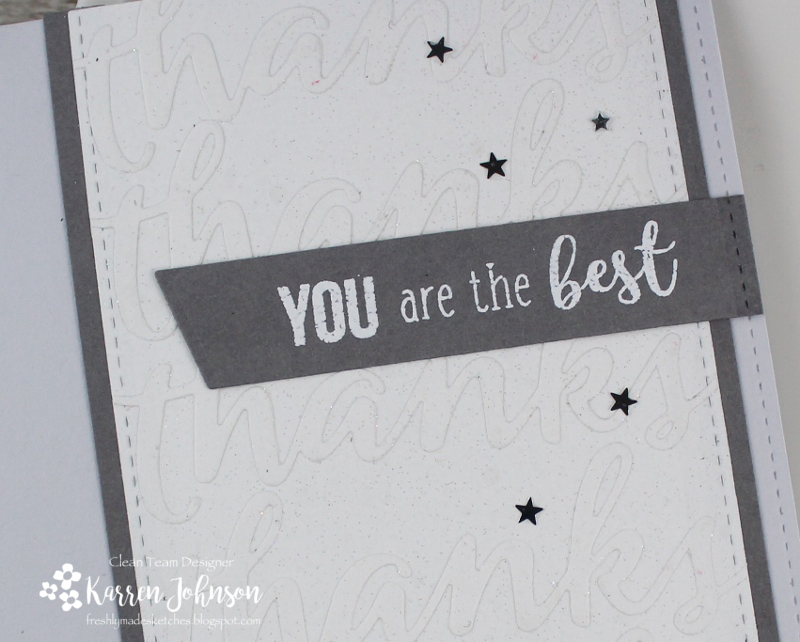 I die-cut the "thanks" die from SPD several times and adhered it to a panel die-cut with a stitched border. Once that was finished, I sprayed it with Irridescent Glitter Dust to give it a nice shimmer almost like frost. A dark gray strip was added down either side and then it was adhered to a Grout Gray top-fold card base to which I had added a stitched line down each side. The sentiment was made using two separate stamps from the Sweet Sentiments - You set and white embossed onto the dark gray cardstock. I die-cut it with a slanted sentiment strip and then on the straight edge, I die-cut it with a stitch line die. 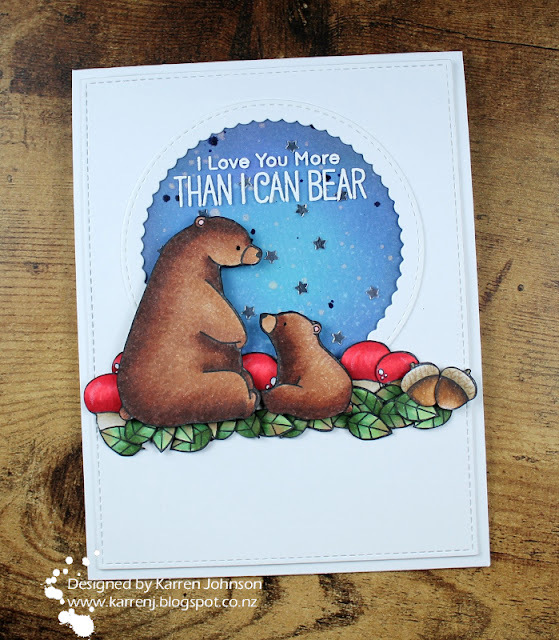 I finished the card with some tiny little star sequins. Thanks for visiting. 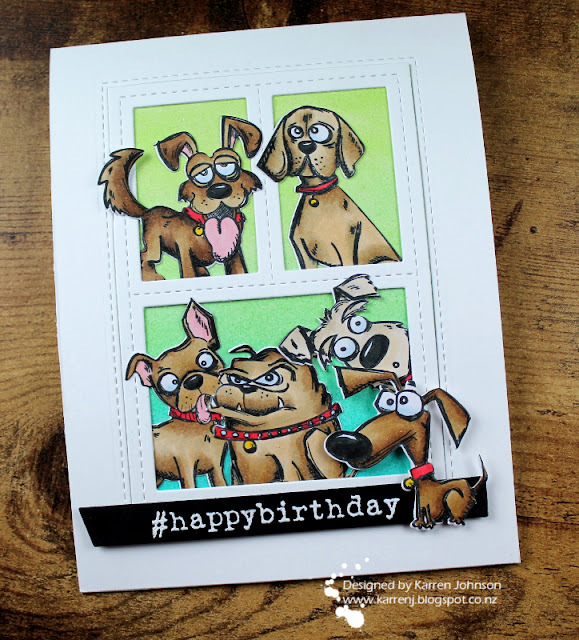 The design team have put this sketch to great use and have some fabulous cards to show you so please head on over and check them out. On to my card. On a Whip Cream card base I very lightly and randomly stamped the Wood Plank background using Grout Gray ink. I die-cut two Leafy Garland dies - once in Grout Gray and once in black cardstock and adhered them slightly askew from each other in the bottom left corner of a side-folding card. 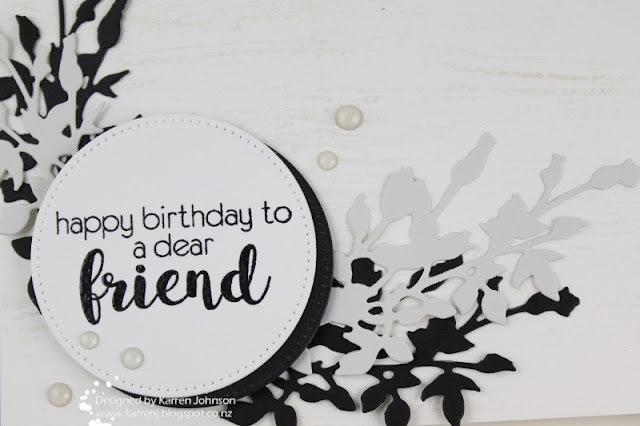 The sentiment was stamped in Versafine Onyx Black ink on Whip Cream cardstock and clear-embossed before being die-cut with a pierced circle. I die-cut another pierced circle the same size from black and adhered that offset behind the sentiment panel. The sentiment panel is popped up on foam tape. 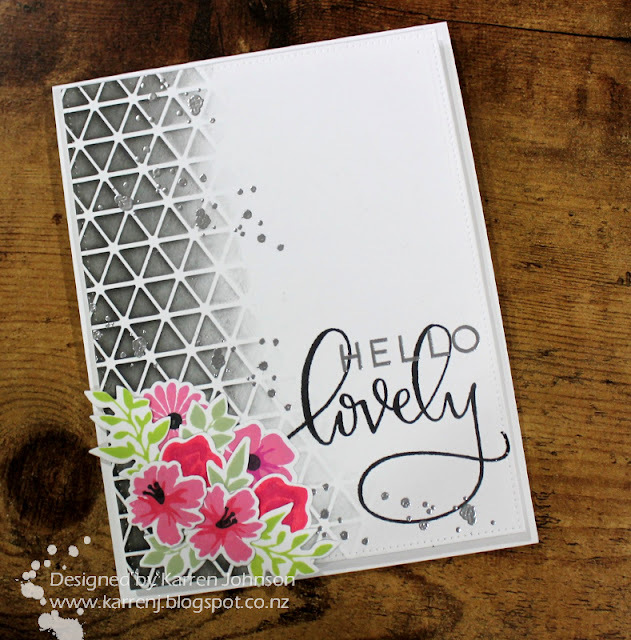 I finished the card with some Nuvo Jewel Drops in Gray Mist. 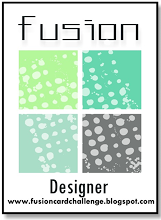 Hi and welcome to the first Fusion challenge of the year! 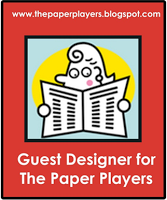 As it is also our anniversary, as we have done in past years, we have chosen guest designers to join us for this challenge. 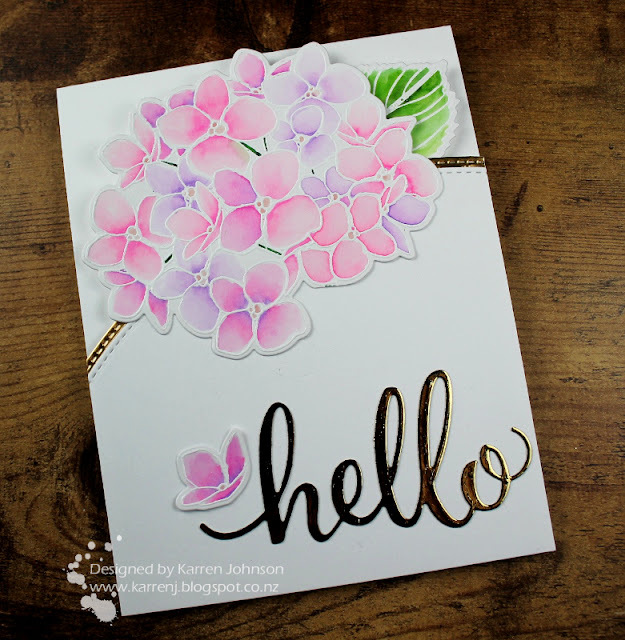 I invited Jen Mitchell, who has a beautiful clean and CAS style that I admire. 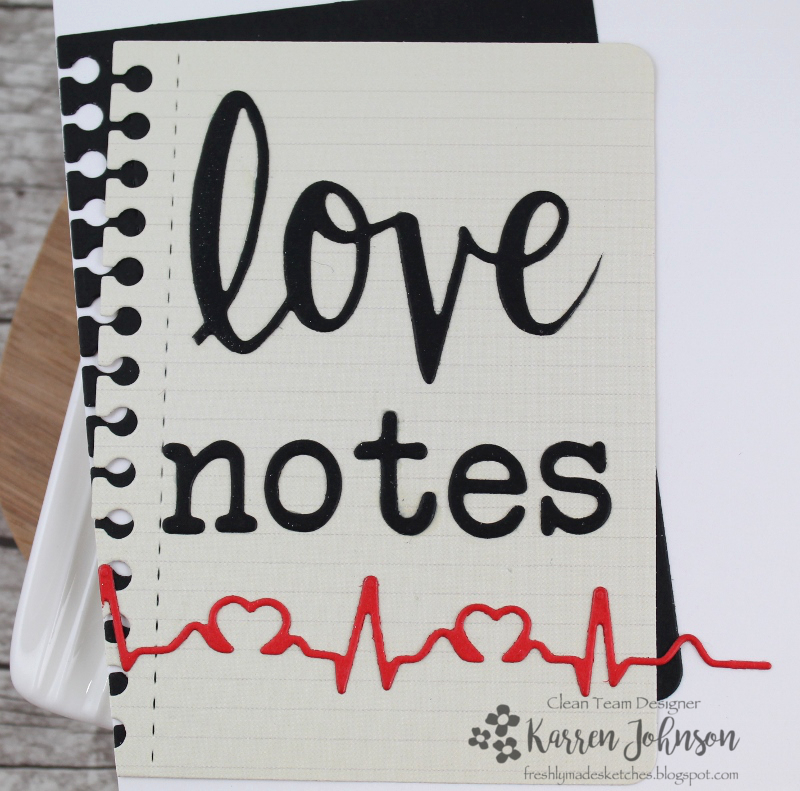 I'm sure most of you know of Jen's work already but if not, head on over to her blog and check it out. 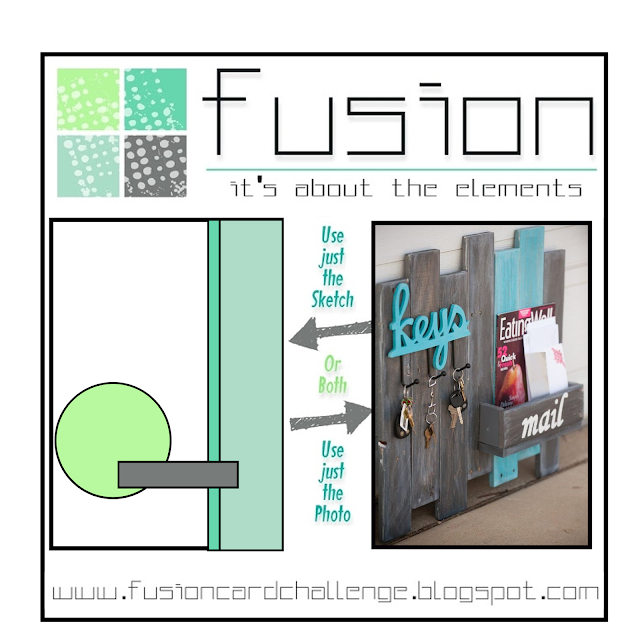 I created a fusion of both sketch and photo, by focusing on the mail theme, the woodgrain and the colors in the photo. 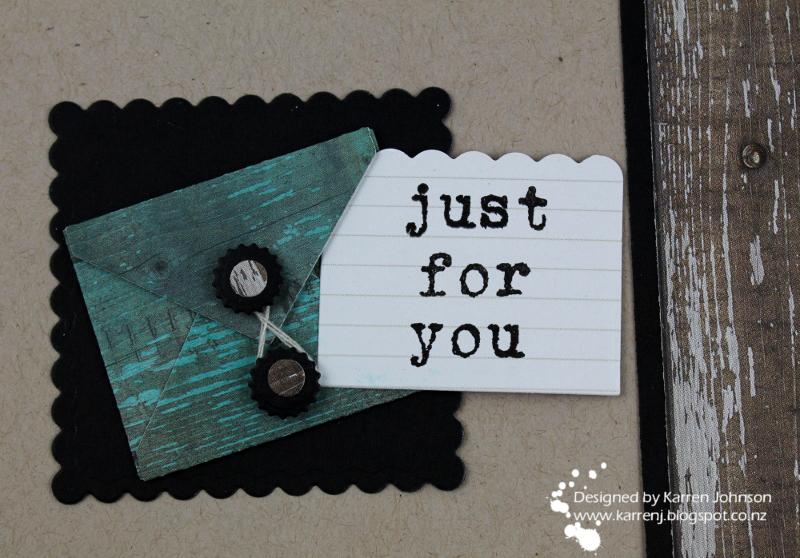 I created a mini envelope from a MFT die that I die-cut from some woodgrain paper that I sponged over with Peacock Feathers ink. I used some thread and the smaller dies in the set to create a closure for the envelope. The same woodgrain paper without the ink was used down the right hand side of the Desert Storm card base. 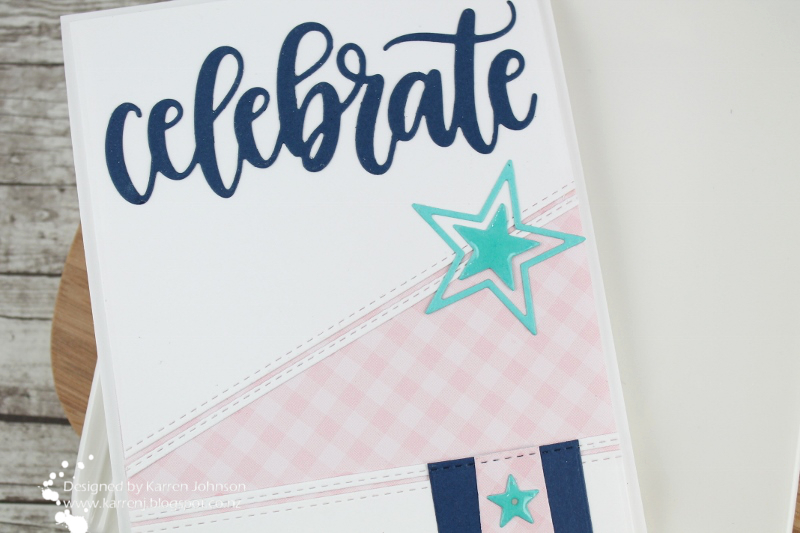 After doing some surgery to a stamp by cutting it apart, I stamped the sentiment on a die-cut strip of patterned paper designed to look like a notebook page, which fit quite well with the theme! 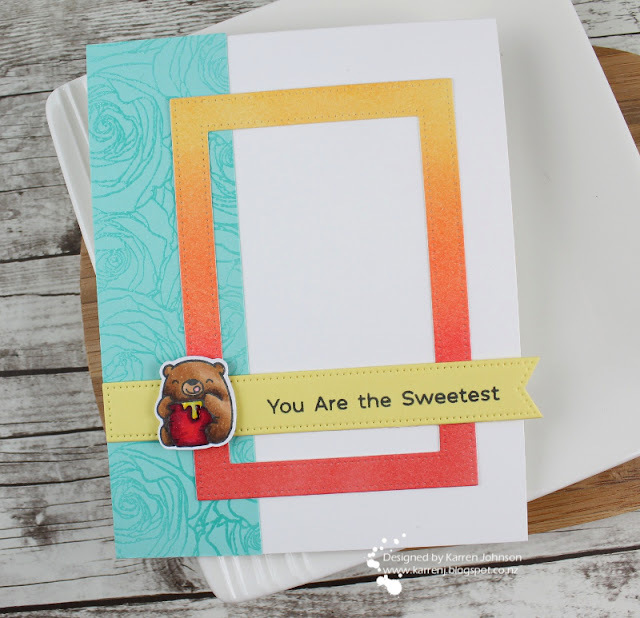 To help the envelope stand out from the card base, I backed it with a scalloped square cut from black cardstock. Thanks so much for visiting. 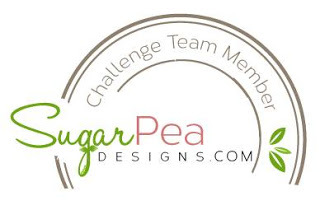 I hope you'll head over and see what the rest of the design team have done with this challenge. 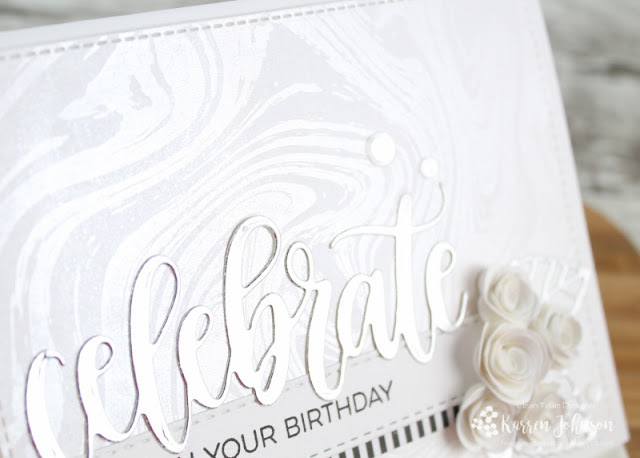 I stuck with heat embossing for my card and embossed the stars in Silver Pearl embossing powder which is a really pretty soft silvery-pearl look and I embossed the sentiment in Liquid Platinum embossing powder, which is probably my favorite metallic embossing powder. 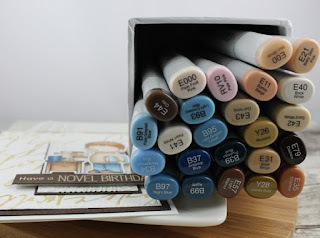 I started by blending distress inks onto a panel of Bristol Smooth cardstock for my background. 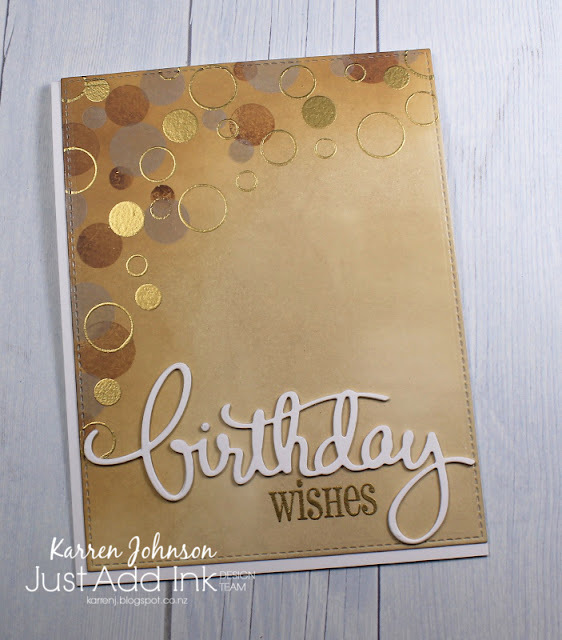 After that was finished, I set it aside to dry completely before embossing. 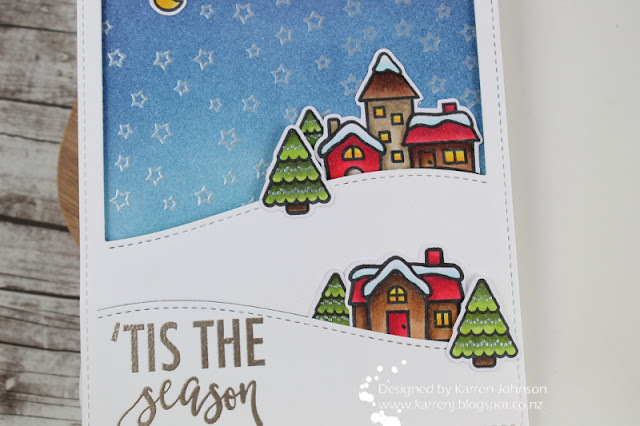 These images are from the Winter Village stamp set and I stamped and colored them with Copics, keeping to a red, brown and green color palette. The "lights" on the trees were embossed with the Silver Pearl EP. I cut the images with my Scan n Cut and also die-cut the (also NBUS) Stitched Hillside Backdrop Portrait die from white cardstock and set to work arranging everything. Once everything was glued onto the die-cut panel, I went back to the background and embossed all the stars, leaving a wee space for the moon. The sentiment is from another NBUS set by Avery Elle and was used because it fit nicely in the available space! 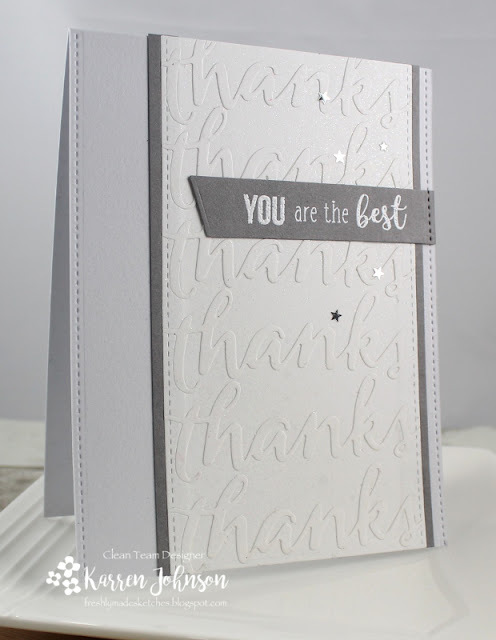 The whole panel was added to the background with foam tape and then adhered to a white top-fold card base. The windows and snow on the houses were coated with clear sparkle pen to add a bit of shimmer. As I've done over the last couple of years, I'm again posting my personal favourite cards of 2017. I've chosen one card from each month, so here they go. Click on the month to be taken to the original blog post. 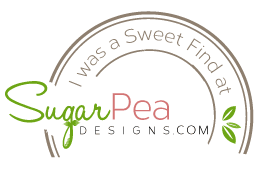 Thanks so much to everyone who visited this little blog during the year and especially if you took the time to leave a comment.